If you already own a Galaxy S4 and are thinking to upgrade to the S5, or you are planning to get a new Galaxy device and are confused between the Galaxy S4 and S5, this one is for you to read and make a decision. As we have seen with the Galaxy S3 which is still in market and in demand as well, the S4 will also be available and with the pricing making a big difference between the two devices, many customers will be confused between these two devices because one has some exceptional new features, while other one compromising those will have a good pricing. 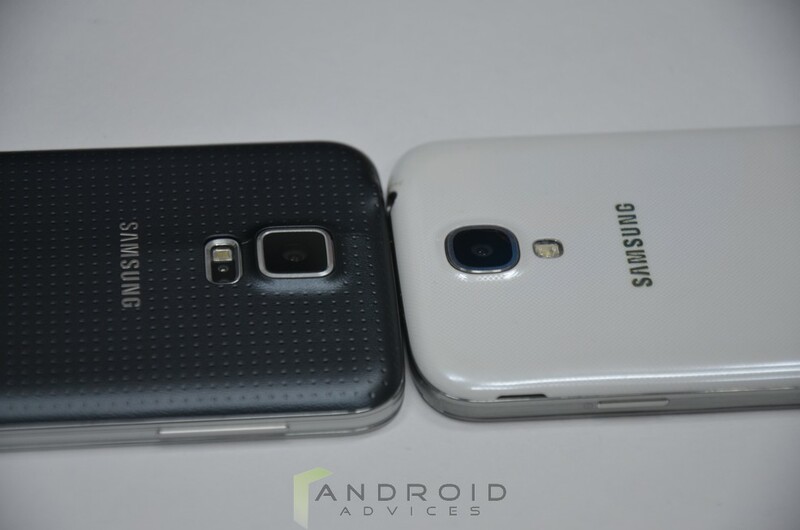 Let me show you the difference between the two devices in all the aspects – technical, design and other specifications which might help you decide between the Galaxy S4 and S5. 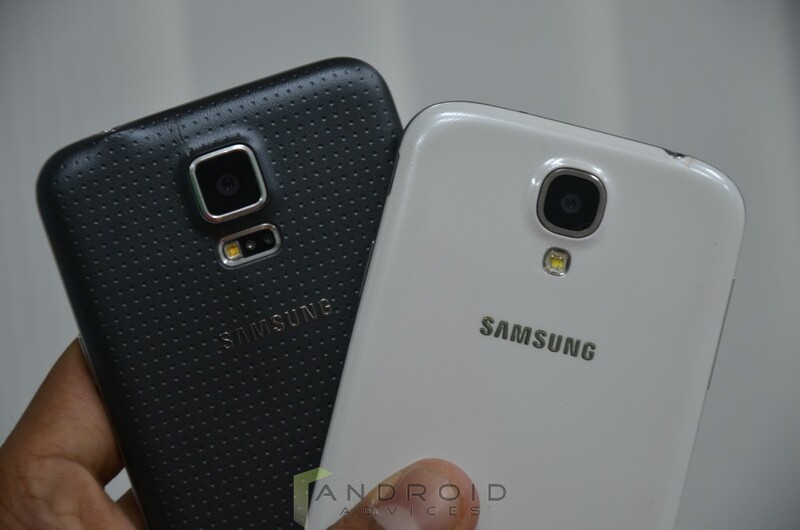 Should I Upgrade from Galaxy S4 to Galaxy S5? 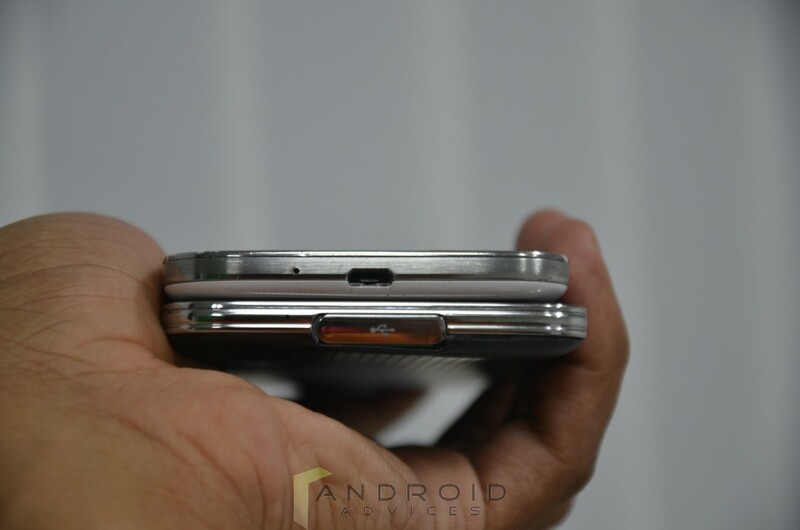 The shape of the device is almost similar, with Samsung sticking to its design right from the Galaxy S3 to S5, and this new device is slightly bigger compared to the Galaxy S4. Dimensions wise, the S5 measures 142 x 72.5 mm and the S4 measures 136.6 x 69.8 mm. 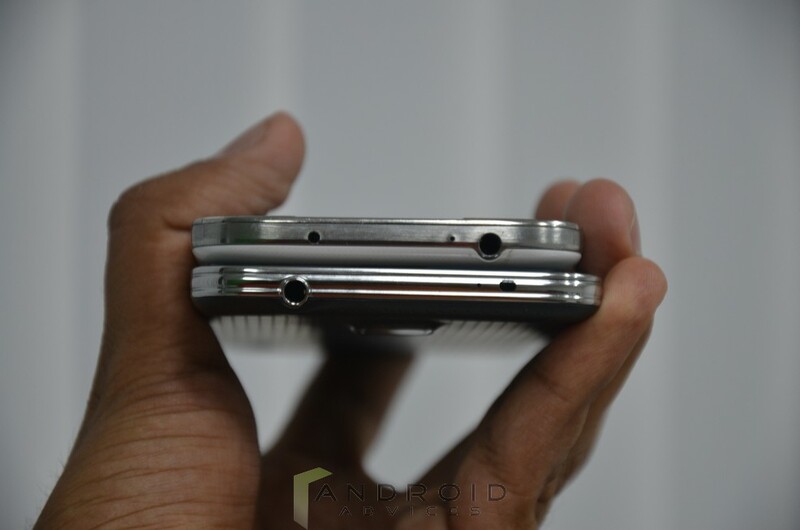 The thickness of S5 is also increased, being at 8.1mm compared to S4 at 7.9 mm. With the increase is size the weight of the device also increases with S5 at 145g and S4 at 130g. 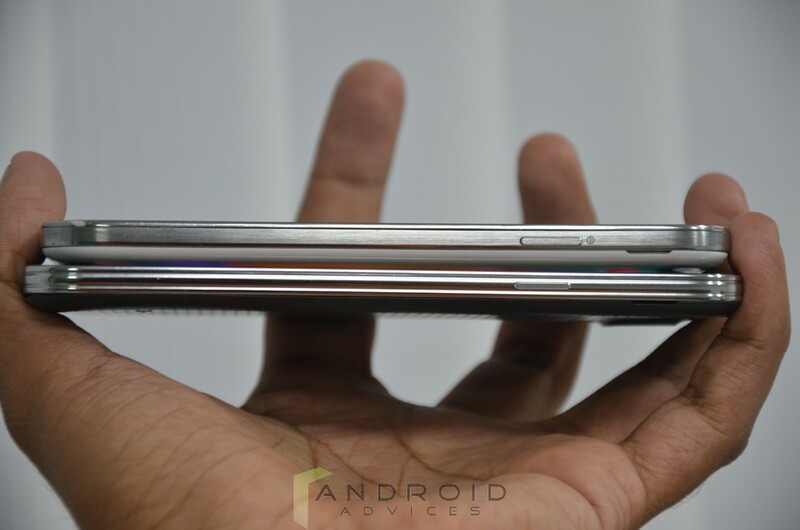 Samsung has also stuck to the plastic back casing which was seen in S4 as well, it was rumoured that metal and faux leather like in Note 3 would be seen but a dotted plastic case is what Samsung has stuck to. There is an additional sensor at the back below the camera, which is used to record your Heart rate and the Home Button is slightly larger as it accommodates the Finger print scanner. The charger and USB port along with the earphones socket come with covers to help in the IP67 proofing of S5 which is Water and Dust resistant. 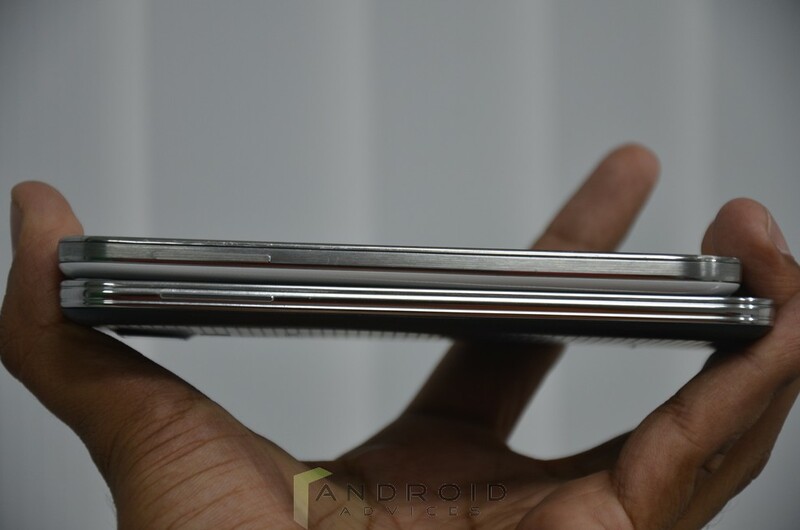 There was no such waterproofing or water resistant feature in the Galaxy S4. The Display part of these 2 phones are not that different as the Screen size is just a little bit bigger which I must say is nothing new or worth appreciating being 0.1 inch bigger. 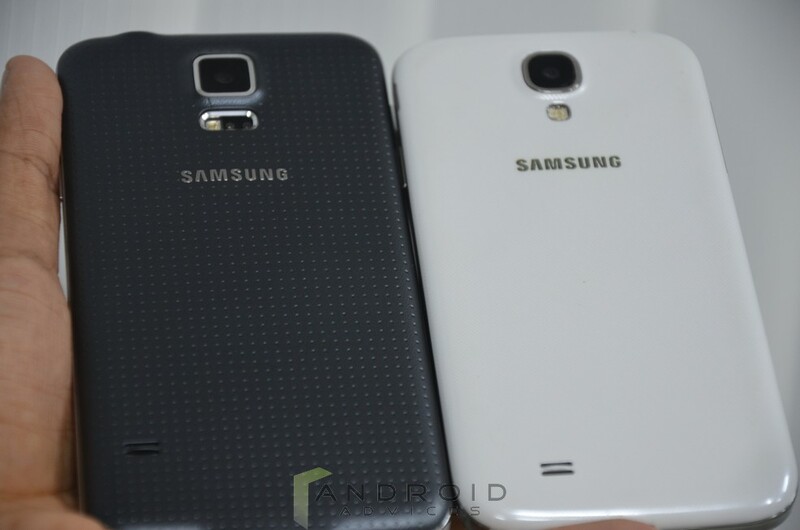 The Galaxy S5 comes with a 5.1 inch Super AMOLED display where the Galaxy S4 comes with a 5-inch display and both the devices come with the same resolution, i.e. 1080p Full HD. There is no much difference while viewing Full HD 1080p movies in both the devices. Dim Mode: This is available in S4 as well named Power saving mode, this feature turns down the brightness of the display considerably depending on the Light available which is useful at night to be easy on your eyes and save battery life as well. Ultra Power Saver Mode: This feature is new and not available in Galaxy S4, when activated the Screen turns to Black and White and also only a select number of Apps are available which makes battery last longer. In the Display department there is no much improvement of drastic change so if you are more concentrated on the Display factor then you can go for the S4 and save some serious money compared to the S5. Samsung has upgraded this aspect of S5 with a Qualcomm’s 2.5GHz quad-core Snapdragon 801 processor compared to the Qualcomm 1.9GHz quad-core Snapdragon 800 processor which we can see significant increase in certain functions like camera, use of various high end gaming apps etc. So if you are looking at the processor aspect for your new phone then Galaxy S5 surely wins over the S4 in this department. Samsung Galaxy S5 has got a lot of upgrades compared to the S4, there are 2 Sensors included in the S5 – Fingerprint sensor and Heart rate monitor. The Fingerprint sensor a new addition to the S5 is embedded under the Home button below the Display. The Fingerprint sensor or reader is a swipe styled sensor which can be used to unlock your device by placing your finger on the bottom of display and sliding it down by following the indication given by Samsung on the bottom of screen. You can also use this sensor to pay through Paypal for which you have to register your device and fingerprint to authorize for future use. The Heart rate Sensor is another sensor which will measure your heart rate in beats per minute (bpm) with the help of the S Health app. You can get the Gear Fit fitness band for your Galaxy S4 to check your Heart rate. These 2 features are not available on S4 and it is upto you to decide if you need the fingerprint scanner and the heart rate monitor and decide which device to buy. This is another area where some improvement is seen in the S5 compared to the S4, the number of megapixels has come to 16-megapixels in the S5 compared to the 13-megapixels of the S4. There are some other features like the Hybrid Autofocus system which is seen in high end cameras, this means that S5 takes just 0.3 seconds to focus and this surely makes the camera already way ahead of the S4. There is another feature called the “Selective Focus” or “Selective Blur” which will let you Focus on certain parts of the image after the picture is taken. Video recording is the one which takes the S5 way ahead of the S4 with the ability of S5 to record videos at 4K (3840 x 2160) making the video record details at a very deep level. This feature is not available in S4. If you are one who uses a lot of camera and record videos then S5 it is for you compared to the S4 which has a decent camera but is no match for the S5. Samsung Galaxy S5 comes with a revamped version of the Android 4.4.2 Kitkat, along with a new version of the Touchwiz which completely changes the OS from what Kitkat looked like. The S Health App which was introduced in S4 now has an addition to it as it is combined with the Pulse Reader or the Heart Rate monitor present on the back of the device. The Download Booster feature in the S5 brings an added advantage compared to the S4 as now your device takes help from both your Wifi and Network to make downloads much faster. The Galaxy S5 comes with a 2,800mAh battery compared to the 2,600mAh battery of the Galaxy S4 which is a decent upgrade but the integration of the additional sensors and the slightly bigger screen can make the batteries give similar results. According to Samsung the new Touchwiz UI is supposed to help conserve battery better than the previous version so we can expect a bit of better battery life compared to S4. Galaxy S5 surely is an upgrade from the S4 but is it worth spending such a huge amount compared to the S4 is the thing to consider which can be done depending on what your requirements are. In the end it is upto your requirements to decide if Galaxy S5 is your choice of device, but if you ask me at this point of time Galaxy s5 is on the costlier side at nearly $700 without contract compared to the $500 for the Galaxy S4. I personally feel that S5 will be old when new phones with Snapdragon processors 810 and 808 will be available in market in 2015. Those having earlier versions of phone can wait a little.